IF Pep Guardiola is right and Raheem Sterling really is capable of joining the elite, the next month would be a pretty good time for him to start showing it. "The moment he is able to increase the number of goals he scores, he will become one of the best players in the world," said the Manchester City manager at the end of the last Premier League season. "He is a fighter. He is so dynamic. He is so good but he has to improve that. He has a lot of chances and he has to improve his average." The problem for Gareth Southgate when it comes to Sterling is that "average" is usually the best way to describe his finishing. And without goals from somebody other than the main striker, it's impossible to see any team making an impact on this tournament. As his squad number shows, Sterling is pencilled in to be England's number 10, a position which, traditionally, his skill-set would be nowhere close. They were once the skilful playmakers who could spot passes that nobody else in the stadium could see and were lethal when paired with the right striker. They had time on the ball and oozed class in the way of Gheorghe Hagi, Dennis Bergkamp and Roberto Baggio who, although chipping in with goals themselves, usually provided the bullets for others to fire. cruel Without being overly cruel, Sterling's technique probably wouldn't match the 14-year-old version of those players but the word used by Guardiola - dynamic - is now the cornerstone for a position that was defined as a playmaker but is now closer to game-changer. Like most things in the modern game, the reason comes down to Lionel Messi and Cristiano Ronaldo who redefined the way teams sought to get goals. Why have a centre-forward clashing antlers with a gnarled centre-back for 90 minutes in the hope of finding some room when you can have a player who can find a pocket of space in front of the defence and drive at them at pace, leaving defenders dazzled. 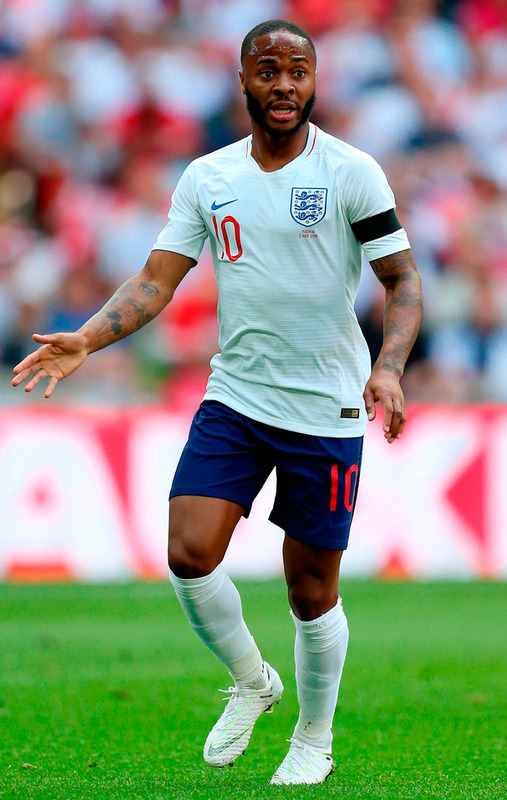 For England, Sterling is the only one capable of filling that role which is why he is their most important player in terms of them getting beyond the last eight. Harry Kane might fill his boots in a relatively weak group, he might even chip in with a last-16 goal against one of Colombia, Japan, Poland or Senegal but when it comes to the rarefied air of the quarter-final, no team will progress without the minimum of a twin threat. With four good games, Kane might end up among the top scorers but, since Paolo Rossi 36 years ago, only once has the top scorer played for the team that won the competition, when the original Ronaldo spearheaded Brazil's charge in 2002. David Villa was among four others on five goals in 2010 but James Rodriguez (2014), Miroslav Klose (2006), Davor Suker (1998), Hristo Stoichkov/Oleg Salenko (1994), Toto Schillaci (1990) or Gary Lineker (1986) never even made it to the final. If Sterling doesn't fire, the reliance on Kane for goals will cost England in the same way Poland won't have enough with just Robert Lewandowski, Croatia and Luka Modric, Denmark with Christian Eriksen or Portugal with Cristiano Ronaldo. Great though the individuals are, their collective won't be great enough. The last decade has seen the quality on show in the Champions League far outstrip that of the World Cup but the part-time nature of the international game coupled with the relatively weak calibre of coach means trends have been slow to catch up. But from 'Total Football' being sparked by Ajax to being cemented by the Netherlands in 1974/'78 to Barcelona's style forming the basis of Spain's triumph in 2010, the success of a particular club culture eventually goes global at the World Cup. From Messi to Ronaldo and, this season to Mo Salah, the deep-lying goalscorer has become one of the dominant patterns in the Champions League and in Russia over the next month, most countries are pinning their hopes on attacking trios to bring them to glory. Unlike their Group G opponents England, Belgium have two of the world's finest exponents of the destructive No 10 but while Kevin De Bruyne has Guardiola, Manchester City and the prospect of conquering Europe at club level to come, this could be a tournament that defines Eden Hazard. As he did following the previous occasion that Chelsea won the league, Hazard was well off his best this season but the suspicion is that, by Christmas, he was already looking at June 18 against Panama as a moment for relaunch. At 27, with his contract due to expire in two years and the prospect of interesting Real Madrid enough to get him away from Thursday night Europa League football at Chelsea, Hazard shouldn't want for motivation. The issue for Belgium will be - without sounding like a maths exam - just what their two 10s plus number 9 can add up to. In Romelu Lukaku, they have an excellent striker but one who, at club level, has rarely prospered with the type of fluidity which De Bruyne and Hazard will provide. That pair have flourished behind a spearhead like Sergio Aguero or Diego Costa, neither of whom are particularly similar to Lukaku. seamless It's a similar equation for Didier Deschamps to solve in the French set-up where starting Olivier Giroud theoretically gives them an aerial threat and someone to hold up the ball but, in practice, may just slow up the dynamism of Antoine Griezmann, Kylian Mbappe, Thomas Lemar or Ousmane Dembélé if their manager releases the shackles. At the business end, most teams like to compress space, meaning starting the likes of Lukaku or Giroud may play into opponents' hands because neither will have the required pace to get behind a defence while it also leaves less room for Hazard or Griezmann to work their magic. Spain, too, may find similar issues if they use Diego Costa as the focal point in a team that aren't quite the death-by-a-thousand-cuts style of their World Cup and European Championship-winning predecessors but will still be easy on the eye and dangerous. Isco and Thiago will provide fresh blood but there is a danger that their Barcelona contingent may struggle in what is the football equivalent of the 'bleep test' where it is necessary to get faster the longer you run and, with the miles clocked up by Gerard Pique, Sergio Busquets and Andres Iniesta in their backbone, it's asking a lot for them to go to the well again. Along with Spain, Germany probably have the most seamless links from defence, through midfield and into attack with Toni Kroos providing for Mesut Ozil who can then bring Thomas Muller or Timo Werner into the game. Ozil is in the mould of the more traditional number 10 as a ball-mover like Bergkamp rather than a ball-carrier like Hazard but given Joachim Loew knows his players better than any manager at the tournament, it's unlikely they will change formula to suit modern trends. As is fitting of the countries with the two greatest number 10s in the history of the competition, Argentina and Brazil look to have a perfect balance in attack which should allow Messi and Neymar to flourish. As they have done for the past two World Cups, Argentina have superb attacking options but with Messi, Angel Di Maria, Gonzalo Higuain and Sergio Aguero all hitting 30 years of age, it looks like now or never for this group. Maradona was 26 in his career-defining tournament of 1986 and while Messi has a better supporting cast, Argentina will still need him to both be a match-winner himself as Maradona was in the quarter-final and semi-final, as well as the provider for the match-winner as he was in the final. Like Spain, who they look likely to meet in the quarter-finals, it's easy to see them running out of steam, particularly with the prospect of Germany in front of them before they even reach the final. If things go to plan on the other side of the draw, however, Brazil should have no such heavyweight problems with Belgium or England, followed by France blocking their way to the final and redemption for the humiliation of four years ago. Last time around, their strikers were Fred, Hulk and Jo with a plan of giving the ball to Neymar and hoping he could make something happen. By fair means or foul, it take didn't long for opponents to realise stopping Neymar meant stopping Brazil. This time, like Hazard, Neymar is at the peak age in which to prove that he is a rightful successor to Messi and Cristiano Ronaldo. 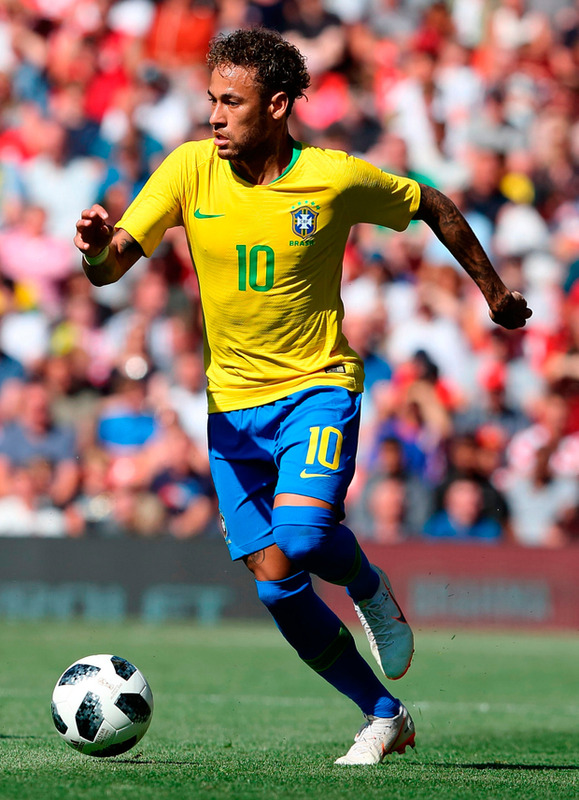 Despite playing deeper than both, Neymar (54 goals) will soon go past both Romario (55) and Ronaldo (62) in Brazil's all-time scoring list to leave just Pele in front of him. Four years ago, the level of expectation and lack of quality around him weighed down Neymar but there should be no such excuses this time for him to flourish. Philippe Coutinho can link play to allow Neymar further up the pitch while Gabriel Jesus provides the speed to stretch defences and ensure they can't risk pressing up too far. As an alternative to Jesus, Roberto Firmino, as he does at Liverpool, can make other players around him better which gives Brazil an alternative plan without compromising their style which is lacking in several of their rivals. They're the favourites for that reason but whether it's Brazil or someone else, it'll all come down to their perfect 10.